When you set the machine to high backstage at Gel-Arshie's Pro Fruitboarder, Gel-Arshie says "Hi! 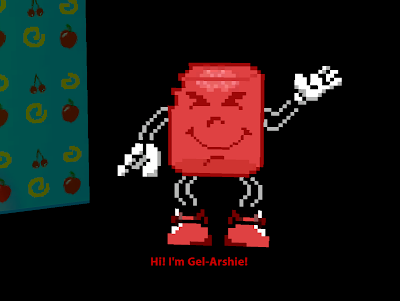 I'm Gel-Arshie!" in the same way that Hugh Bliss said "Hi! I'm Hugh Bliss!" in Sam & Max Season One.